If you’ve got acid reflux, you may come to dread the time of night when you are a couple of hours past eating dinner—that feeling of pain that arises in your chest or throat, sometimes accompanied by a burning sensation and bitter taste in your mouth. In fact, it’s that persistent discomfort after dining that probably caused you to visit the doctor for a prescription to get some relief. But you may want to get rid of those potentially deadly medications, because new research suggests alleviating your acid reflux may be as simple as improving your diet. These findings are based on an experiment involving 184 adults with LPR. One group comprised of 85 subjects were given the standard treatment of PPIs. A second group of 99 subjects were given no medication but put on a Mediterranean diet and told to drink alkaline water. Alkaline water has a higher pH level than typical drinking water, which was shown in a 2012 study at the Voice Institute of New York in New York City to neutralize excess digestive acids.2 But keep in mind that since drinking any water with your meal dilutes stomach acid, it causes your body to produce more acid to compensate, so, moderation is the key here. A Mediterranean diet is heavily based on plant-derived foods such as fruits, vegetables, whole grains, legumes, and nuts. Fish and poultry are included regularly, but very little or no meat is eaten. Plus, all of the participants were given a list of common reflux triggers to avoid, including soda, coffee, tea, alcohol, chocolate, greasy foods, and spicy foods. Baseline records were taken of each volunteer’s reflux symptoms on a standardized reflux scale at the start of the investigation. Six weeks later, their symptoms were assessed once again. Both groups reported a decrease in reflux symptoms, but the group consuming a Mediterranean diet and alkaline water had a greater decline than those taking PPIs. The research was not designed to examine how a Mediterranean diet and alkaline water combination might provide reflux relief, but they likely each affect the digestive system in ways that contribute to this positive response. Alkaline water may be particularly beneficial to those with LPR since it helps to neutralize the acidity of pepsin in the throat. And digesting plant proteins typically results in less pepsin production than the digestion of animal protein since plant proteins are mainly broken down in the intestines rather than the stomach where most pepsin is released. Although this study was small in size and only focused on patients with LPR, it is entirely possible that not only would these results be replicated with a larger population sample, but also for one including people with GERD. If pepsin levels are reduced through diet, it stands to reason that those with GERD would experience significant relief as well. In fact, it is almost astounding that dietary changes wouldn’t be everyone’s first line of defense against reflux. First of all, the Mediterranean diet is an all-around great choice that has been linked to other health benefits including lowering the risk of heart disease, cancer, Alzheimer’s, and diabetes. And second of all, PPIs are often ineffective (a 2008 study at Koge University Hospital in Denmark showed that PPI drugs were no more effective than placebos in LPR patients)3 and potentially dangerous (a 2010 study at the University of Washington in Seattle found that PPIs increase the risk of bone fractures). What’s more, even when they do work, PPIs simply prevent the release of stomach acid, suppressing a symptom rather than addressing its cause. To learn more about PPIs in the digestive system, read Jon Barron’s article “Your Stomach, Part 3.” And the clincher is that PPIs were found to increase your risk of cancer, heart disease, and a host of other problems . In other words, if you are one of the millions of people diagnosed with reflux, make a lifestyle change through diet and leave behind the PPIs for better overall health as well as relief from the condition. And you might want to consider taking digestive enzymes with your meals since that actually encourages your body to produce less stomach acid. 1. Zalvan, Craig H.; et al. "A Comparison of Alkaline Water and Mediterranean Diet vs Proton Pump Inhibition for Treatment of Laryngopharyngeal Reflux." JAMA Otolaryngology­–Head & Neck Surgery. 7 September 2017. Accessed 10 September 2017. http://jamanetwork.com/journals/jamaotolaryngology/fullarticle/2652893. 2. Koufman, JA and Johnston, N. "Potential benefits of pH 8.8 alkaline drinking water as an adjunct in the treatment of reflux disease." Annals of Otology­, Rhinology, and Laryngology. July 2012. Accessed 10 September 2017. https://www.ncbi.nlm.nih.gov/pubmed/22844861. 3. Reimer, Christina and Bytzer, Peter. "Management of laryngopharyngeal reflux with proton pump inhibitors." Therapeutics and Clinical Risk Management. February 2008. Accessed 11 September 2017. https://www.ncbi.nlm.nih.gov/pmc/articles/PMC2503658/. Change your diet? Most reflux is caused by improperly digested food. Sure, you can change to a diet of only foods that are easily digested. However, that would entail eliminating many of the foods you like! So why doesn't food get properly digested? If you are over 50 its probably do to insufficient stomach acid. There are several scientific studies that support the idea that as you grow older your stomach acid declines. It's part of the body's ongoing mechanism of winding your life down once you pass the reproductive stage. Once you cant propagate mother nature pretty much writes you off. I am 76 and have had my share of acid reflux, That is, until I identified my low stomach acid condition and started supplementing with Betaine HCL with Pepsin. 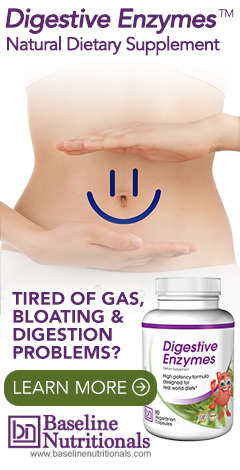 Add the stomach acid back to youthful levels and conquer reflux. Oh yah, go ahead and eat those had to digest foods you really like.